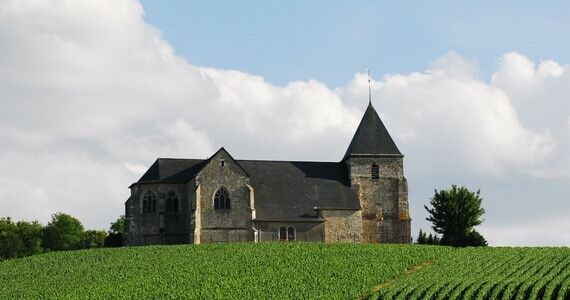 One full day guided and transported tour in Champagne. Other visits on foot. Please note that a Paris Bus and Boat pass is included as part of this package. Upon arrival in Paris, check into a Standard room at the 4* Hotel le A, perfectly located just a few minutes away from the iconic Champs Elysées. 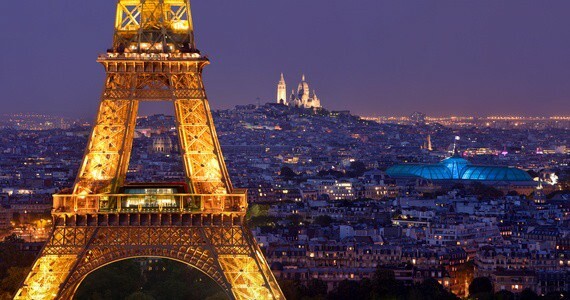 During your trip, you will have the opportunity to discover Paris, the city of love and lights! We have included a two day City tour bus and boat pass, which means that you are able to hop on and off of the bus or boat as often as you like, providing the easiest and most enjoyable method of exploring the city. Multi-lingual commentaries assist in your discovery of Paris, and with four different bus lines, no area of Paris will be left undiscovered! In your travel pack will be a comprehensive list of recommended restaurants. We would be pleased to reserve you a table at any of these for dinner. The morning of day two will be free for you to further explore Paris independently. At lunchtime, a delicious three course picnic-style lunch with a glass of wine will be served on the first floor of the Eiffel Tower. The views over daytime Paris are breath-taking, and we recommend you have a look at the new glass floor after your lunch. You may also wish to purchase an additional ticket on the day to take the lift to the summit. 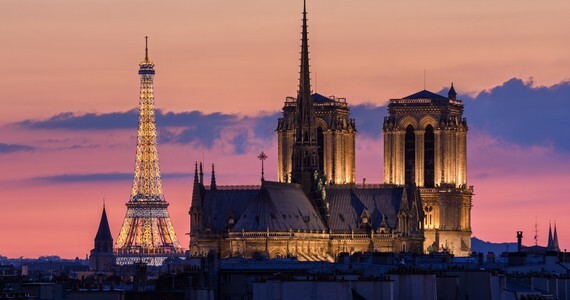 In the afternoon, we will arrange an hour-long guided cruise, passing the iconic Eiffel Tower, the Louvre and Notre Dame de Paris. A glass of Champagne will be served on board. You will then have a free evening in Paris. After a leisurely breakfast on day three, check out of the hotel and make your way to Paris Est station. The journey time by metro is in the region of 25 minutes. Alternatively, the hotel can call you a taxi if required. Board the 12.58 high-speed train to Reims, arriving in Champagne at 13.44. Upon arrival at the station, walk ten minutes to your hotel. Here, check into a Privilège room at the 4* Hotel de la Paix. In the afternoon, you will be welcomed as the guests of Champagne Taittinger for a tour of the estate and cellars followed by tastings of your three preferred Taittinger Champagnes including their Prestige Cuvée, Comtes de Champagne Blanc de Blancs. 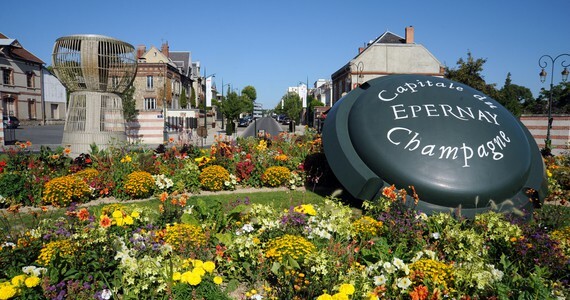 The Champagne House is a 30 minute walk from your hotel. If you would prefer to a taxi transfer, we would be delighted to arrange this for you. Alternatively, feel free to ask the hotel to call you a taxi on the day. 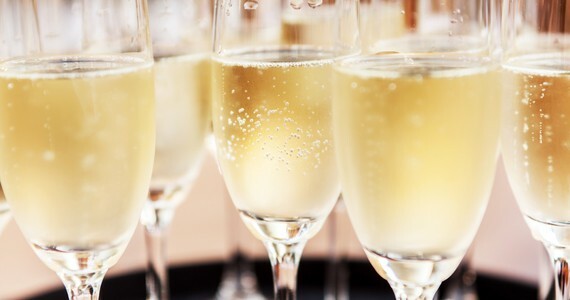 In the evening, a three course Champagne tasting dinner will be served in a cosy, traditional restaurant in the city centre. Each course will be served alongside a different Champagne. On the morning of day four, you will be met at the hotel by an English-speaking specialist driver/guide, who will accompany you throughout the day. There will be a maximum of eight guests on the tour. 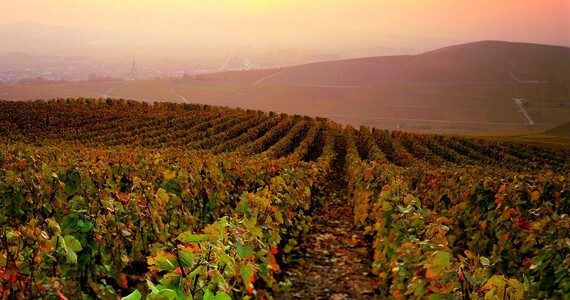 En route to the Champagne vineyards, your guide will regale you with tales and anecdotes of the history of Champagne and its vineyards, introducing you to the particularities of the region. You will stop in a vineyard to learn about the work undertaken here and the tour is designed to be as hands-on as possible. Here, your guide will explain the grape varieties permitted in Champagne and the yearly cycle of the work carried out in the vineyards. You will then firstly visit a small, family-run producer of Champagnes for a full tour of the fascinating Champagne making process from press to bottle, and at least three tastings. A three course lunch with a glass of wine, water and coffee will then be served in a local restaurant. In the afternoon, your guide will take you to another family-run estate, situated in another of the principle regions of Champagne. After a tour of the House, you will taste Champagnes in contrasting style to those tasted during the morning. 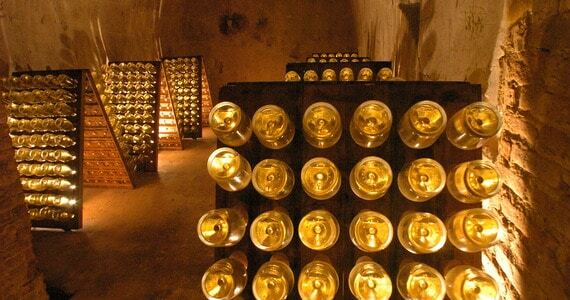 Ending the day in style, you will then visit Champagne Mercier or Champagne De Castellane in Epernay, for a tour of their cellars followed by a flute of their Champagne. Your guide will take you back to your hotel following the tour. The evening will be free for you to do as you please. We would be delighted to recommend a restaurant for dinner if required. Upon arrival in Paris, check into a Standard room at the 4* Hotel le A. The remainder of the day and evening will be free for you to relax at the hotel or explore the city independently. We would be delighted to reserve you a table for dinner if required. 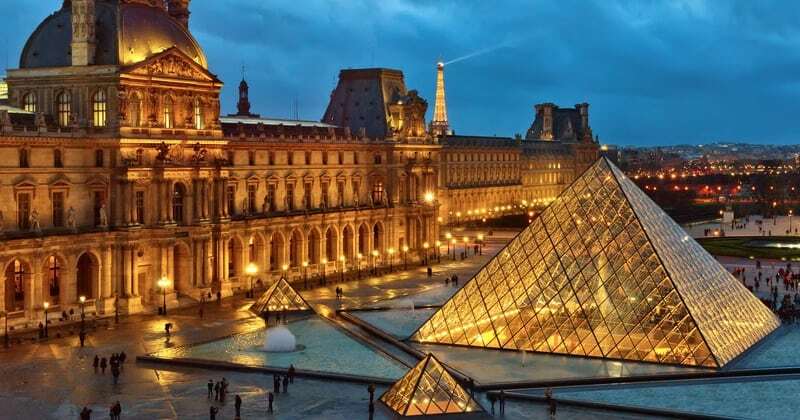 You will have a free morning to explore Paris independently. We have included a City tour bus and boat pass as part of this package. This pass is valid for two days and allows you to hop on and off of the bus or boat as often as you like. 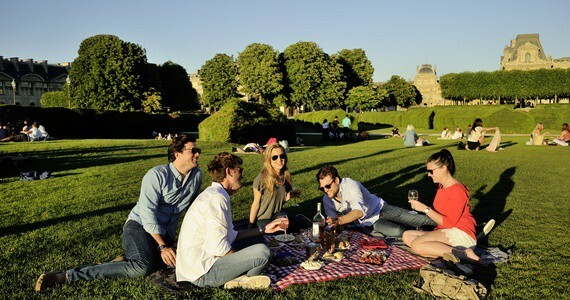 At lunchtime, a delicious picnic-style lunch will be served for you on the first floor of the Eiffel Tower. 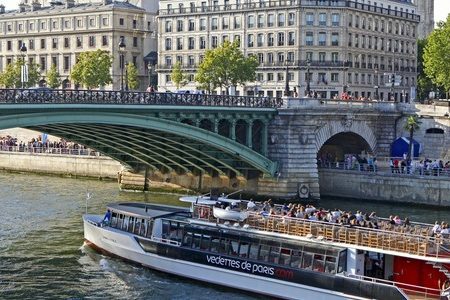 In the afternoon, enjoy an hour-long cruise along the Seine to discover the main sights of Paris, with a glass of Champagne. After breakfast, check out of the hotel and make your way to Paris Est station. 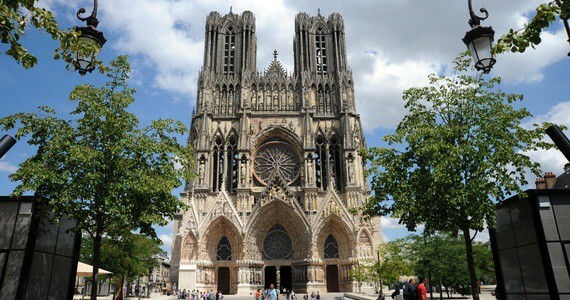 Board the 12.58 high-speed train to Reims, arriving at 13.44. Here, check into your Privilège room at the 4* Hotel de la Paix. In the afternoon you will be welcomed as the guests of Champagne Taittinger. Here, you will be taken on a tour of the estate and cellars followed by tastings of your three preferred Taittinger Champagnes. In the evening, a three course Champagne tasting dinner will be served in a cosy, traditional restaurant in the city centre. Each course will be served alongside a different Champagne. Again, we would be pleased to recommend a restaurant for dinner and reserve you a table for dinner if required. Everything went according to plan. The hotel was amazing and so accommodating for us vegetarians. Bring friends and spend less! A discount of £50 per person applies to groups of four people or more who are travelling together on this break. Spend an extra night free in Champagne! If you travel between November and the end of February as well as from mid-July to the end of August, a complimentary third night is offered at the Hotel de la Paix. Given the wide range of travel options, the package prices do not include travel to Paris and Champagne. Please contact us for further information. Wanted to write and say what a wonderful trip we have just had with your company.